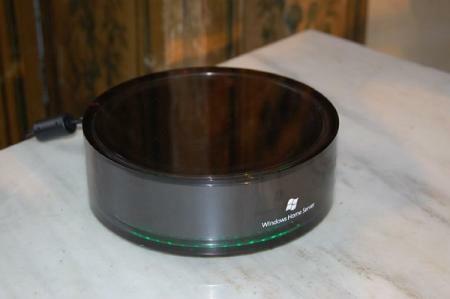 Microsoft and HP have announce a new Windows Home Media Server that the two companies have been working on. Like similar devices already on sale, the Windows Home Server is designed to store and backup all of your media from several different PCs around the home, and distribute the content wherever it’s needed. So far so good. However, the Home Media Server misses a trick or two – in fact, it completely misses the entire Web 2.0 revolution that’s been going on for some time, making the Home Server look a bit outdated even before it’s been released. First, some details. 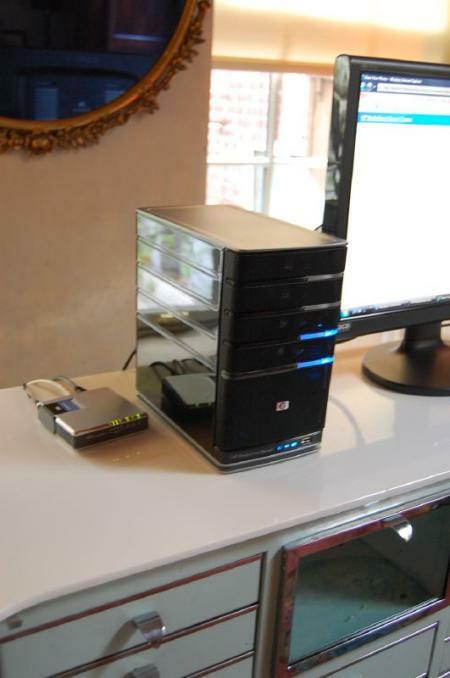 The Windows Home Media Server is designed to be a media hub, containing a four-bay SATA server that can sync all your iTunes from any connected server, and then serve them to any other connected PC when you want to hear them. Great for multiple-PC households (although there are no details on what DRM restrictions there are that may scupper such free and easy sharing). All of your media can be backed up to the Home Media Server, and connecting to it is super-easy, so you don’t need advanced networking skills to set it up. It’s not just your PCs that can connect ot the device, either. You can hook up XBoxes and even Macs and Linux machines (though the latter two will only see the media as files in a networked folder). Home Media Server outdated already? So why does the Windows Home Server seem outdated? Well, one of the features it offers is HP’s MediaSmart application, which is a remote photo-management program. This will let you split the server between public and private access, with public media accessible by your friends and family, who can log into the sever whenever at will. In this way, your friends and family can see the pics and videos that you designate as public whenever they like. Now, call me confused (many people do! ), but isn’t this what Flickr and a host of other Web 2.0 apps already let you do? You can upload your pics to Flickr (for free, mind! ), and categorise them as public or private, and even restrict who gets to see the private ones. Better still, you don’t need to have your own media server constantly running in order for your friends to see them! Indeed, one of the benefits of Web 2.0 is that what used to be on the desktop is migrating onto the web, with media being the first type of content making the transition. Images, music, even video, can all be bothe stored on the Web, and categorised, tagged, shared and even edited to your heart’s content, with the added benefit that it’s not just your friends and family that get to see your content, but an enitre community of people into the type of content you are. As such, this feature of the Windows Home Server is not only redundant, it strikes me as being singularly lame, as it pretends that Web 2.0 media sharing sites simply don’t exist – which, of course, is what Microsoft would prefer, as any desktop app that migrates onto the Web is another bit of functionality that you don’t need Windows for. What would have been better is for the Windows Home Sever to integrate with these Web apps, enabling you to distribute your content not just around your home and to your friends and family, but to the entire world, should you wish. More and more people have an increasing online presence these days, and the torrent of new Web 2.0 apps that are being released daily will only increase the pace, with the result that our media will increasingly be shared online regardless of what home server equipment we have…which sort of makes the home server concept redundant. So although the Windows Home Server is a nice bit of kit, particularly if you’re looking for a media hub, it’d be cheaper simply to buy a media streamer, a Network Attached Storage solution of some form (i.e. a big fat hard disk!) and get yourself a subscription to Flickr and the other Web 2.0 media sharing apps. 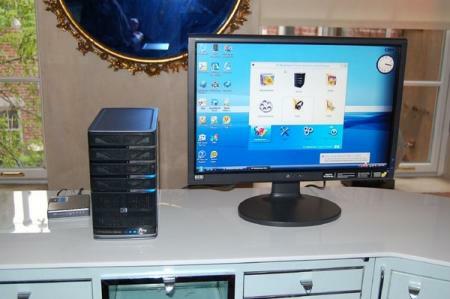 In summary, then – the Windows Media Server is a nice bit of kit, but about 2 years too late! HP’s version of Microsoft’s vision will be released in September, should you be tempted. Your article doesn’t address the security concerns with online sites. Home Server would be the alternative for you to create your own flickr site. Well worth paying for an upgrade every 6 years to have full control of your own files with no privacy concerns. Pictures are geocoded now so that means that anyone viewing it can find out exactly where you took that picture. Call us IT people paranoid, but technology brings risks so I’ll keep my personal info and locations private and leave the cloud computing to streaming hollywood media and not my own.